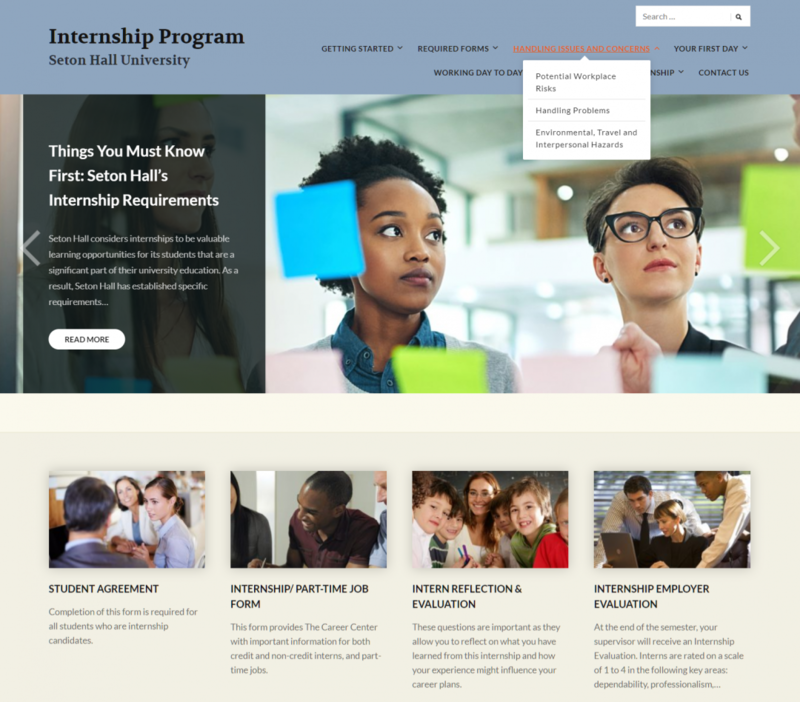 The Internship Program site is a remaking of an older site built on the Joomla platform. All the content was ported over, and redirections were assigned to each of the old pages so that the user experience is seamless. The site itself walks students through the entire process of registration, searching for internships, how to handle yourself, what to expect, how to follow up, and all the necessary forms.